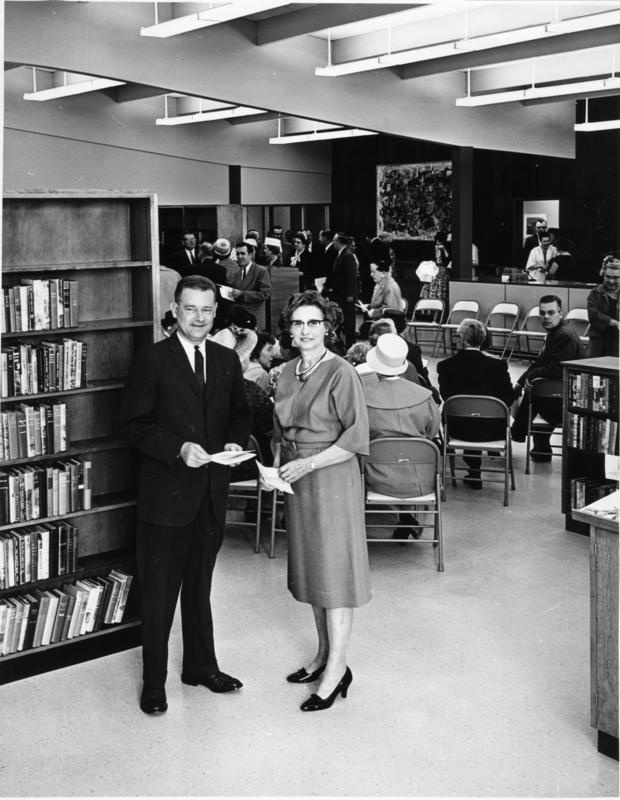 Mary Strachan, librarian (Mrs. Frank) and Lee Stidd, Jr., mayor. [stamp]: Photo by Leonard Bacon, staff photographer, The Oregonian, Portland, Oregon. Transcription Mary Strachan, librarian (Mrs. Frank) and Lee Stidd, Jr., mayor. [stamp]: Photo by Leonard Bacon, staff photographer, The Oregonian, Portland, Oregon.